Custom applications are increasingly necessary in today's IT climate. Businesses are facing a situation in which aligning technical capabilities with specific business processes and workflows is essential, and not many solutions come out of the box ready for a single company's particular needs. Customization is key, particularly in terms of mobile development, but not every business has the in-house resources to get the job done. Ensuring a third-party development provider can create the kind of app you need is essential, but that determination is often a fairly straightforward matter. It is not as simple to ascertain if the vendor is capable of working well with you and delivering a project on schedule and within your budget. This is where assessing culture comes into play. A report from TechDay, an organization that runs IT-focused conferences, explained that it isn't enough for a development provider to get the job done; it should also provide value that you can't match in house. "A culture built around consultation and mutual gain is necessary in handling complex development projects." If the service providers you are considering seem focused on simply taking project specifications, getting the job done and getting paid, that task-driven culture may let you down as the project evolves. Organizations that provide IT consulting on top of any custom development effort, on the other hand, create a relational culture in which they work with you to identify the best parameters for the project, try to anticipate problems that may arise and ensure the initiative is successful at all stages. A culture built around consultation and mutual gain is necessary in handling complex development projects. Parties could perceive what the dev project entails differently, with a development provider thinking it is just creating working code and the client expecting assistance through release and update processes. Organizations could have diverging ideas of what is considered normal in terms of tweaking project specifications and revising code. Stakeholders may not understand the full scope of services that could be made available and how that would impact the service contract. These types of uncertainties can undermine a relationship if problems arise. A clear, thorough contract sets clear expectations between organizations and third-party development teams. A TG Daily report highlighted a variety of reasons why a company may work with a third-party development firm. These motivations ranged from reducing costs and taking advantage of talent that isn't available in house to reducing risk and alleviating stress on the internal IT team. Regardless of what your reasons are, make sure you take time to talk through those priorities with your service provider. When everybody has a clear idea of the big-picture goals, stakeholders can use that knowledge to refine the processes and priorities in place throughout the project, creating a stronger pathway to success. 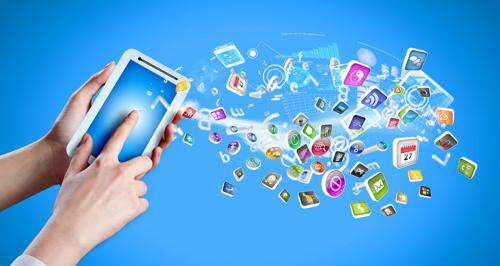 There's a lot to be gained with custom mobile applications. The right solution can empower businesses to work at their best, gaining a competitive advantage. However, making sure your project hits your goals hinges on careful coordination with your vendor. Following the advice outlined above can go a long way in helping you find success.